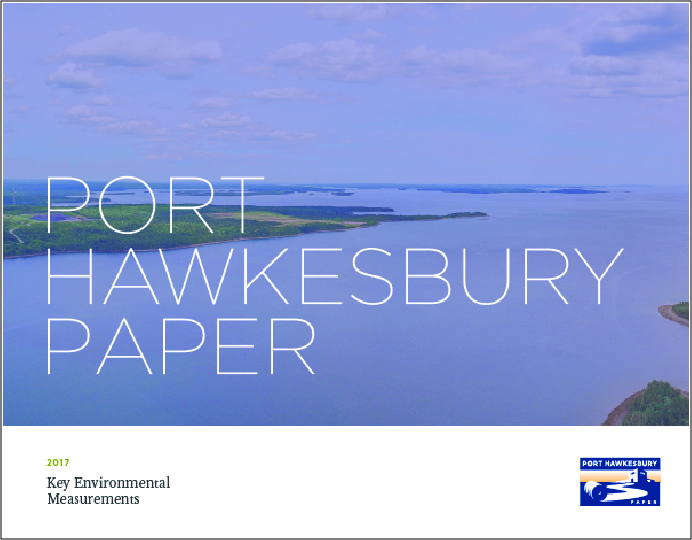 It is the policy of Port Hawkesbury Paper LP to carry out operations in ways that do not endanger the environment. Sustaining a healthy environment is an integral part of all company operations. 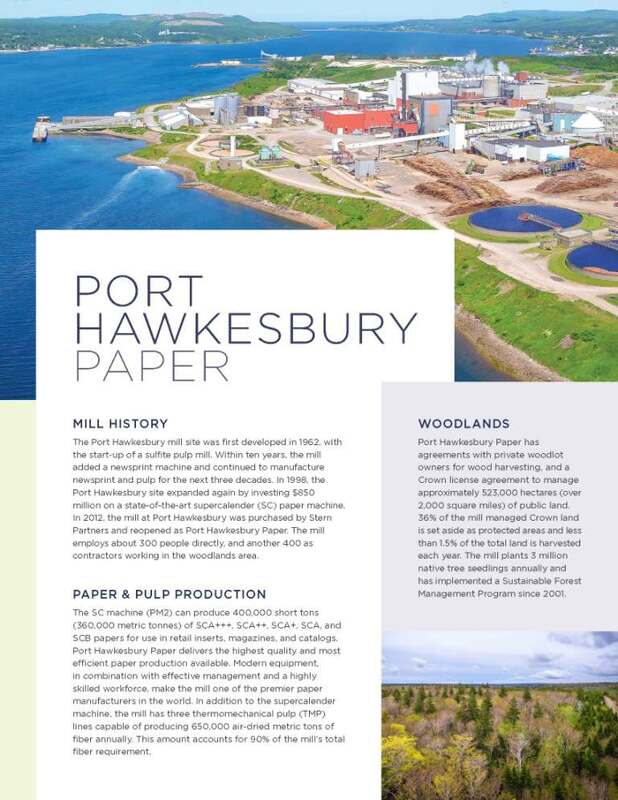 Port Hawkesbury Paper LP fully endorses the Forest Products Association of Nova Scotia Principles of Forest Stewardship, and the Forest Products Association of Canada (FPAC) Sustainability Statement. Our company forest resources will be managed for long-term sustainability and natural biodiversity while providing an increasing harvest volume and conserving social and cultural values of the community. The company is committed to implementing its sustainable forest management mission, vision, and guiding principles. 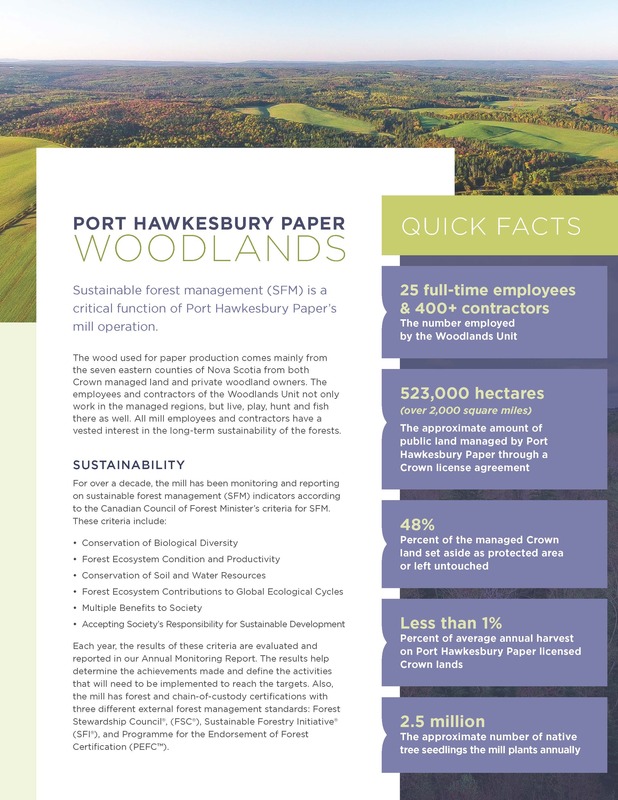 Port Hawkesbury Paper manages for many values besides timber including old forests, wildlife corridors and habitat, special management zones, endangered species, unique ecosystems, recreation, heritage and culture, and domestic watersheds.